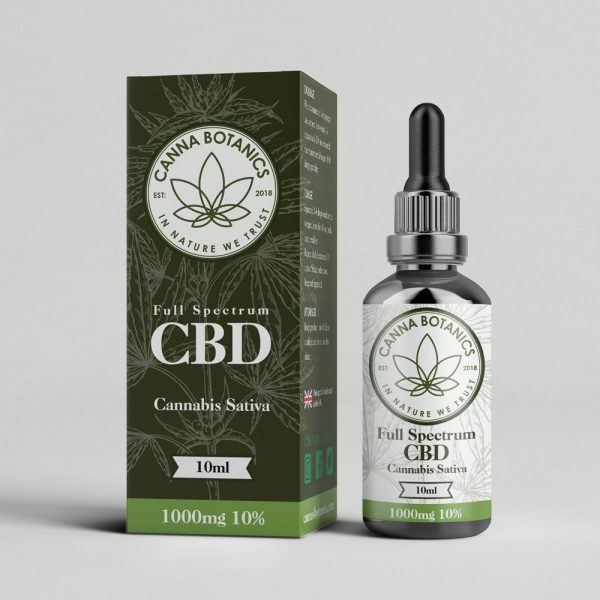 Our 500mg blend of CannaBotanics™ drops is a perfect introduction to the benefits of Cannabinoid oil supplementation for those looking to enjoy a dietary and nutritional supplement for increased health and vitality. CannaBotanics™ is your best source for premium quality full spectrum Cannabinoid products grown organically in Europe, all containing high levels of Cannabidoil as well as other vital Cannabinoids, CBDV, CBDA, CBG, CBN, CBC plus Terpenes, Terpenoids, amino acids and Omega 3, 6 and 9 infused with the finest organic hemp seed oil. When choosing potency (500mg / 1000mg), it’s best to start low and gradually increase amount until you get the desired result. Love this stuff! I’ve been on medication for severe pain in my knees for the past 16 months, sometimes it’s unbearable and I’m sick of taking prescribed pills. My friend told me about Canna Botanics CBD so I thought sod it why not give it a try. It’s certainly helping ease the pain so far and hopefully once I try it withough medication next week I’ll know if I can stop the pills all together. Fingers crossed! After trying my first bottle I’ll be ordering my next soon, 2012 I had a serious accident at work, which has led to bad pain in my back and hand in 2 weeks it’s not cured it, but the difference is amazing so much so I’m back out running and maybe even picking up the golf clubs again, the change in my motivation as a result of this is very welcome.